Shown below are the links to specific trips followed by the annual wrap-up for all the activities held in 2016. Please take your time enjoying and the memories you had during 2016 with your friend of the Sly Fox Ski & Snowboard Club. Great time was had by all on our Big Snow trip that was lead by our trip leader Deb Mossong. With a FULL bus & a fun ride up we arrived at Indianhead Lodge where we settled in then had a great time enjoying the music in the lounge. Breakfasts & dinner at the Lodge were wonderful. The next two days skiing/boarding were at Indianhead & Blackjack Mts. With new snow, the conditions were great, maybe a little cold but everyone played all day on the mountains. Our ride home was cheering the Packers on to a win. Thanks to all who attended the ski trip & supported your Clubs trip. MARQUETTE MOUNTAIN FEB. 5-7, $240. 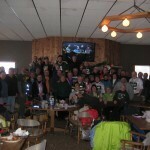 We had a great trip up to Marquette with subs & snacks to fill our bellies. Our FABULOUS Trip Leader Mark Nelsen had all the fun planned starting with a CrAzY HaT contest (winner Sam for his Irish top hat) along with games played on the bus. 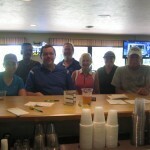 We all had a great time with many winners. Upon arrival in Marquette, some of us continued the tradition & wandered to the Irish bar across the street from our hotel to enjoy some refreshments & karaoke. Our trip leader Mark, with the assistance from Toby (our Lunar award winner for sitting on a birthday cake) organized a fabulous pool side party after skiing Sat. Thank you so much! With great skiing, wonderful lunches at the mountain, exploring downtown Marquette, sharing the weekend with friends along with making new friends, a good time was had by all. Thanks to everyone who joined in the fun on this ski trip and supporting your Clubs trips. Keep up the great job! 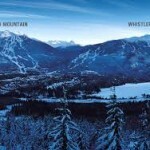 WHISTLER/BLACKCOMB, BC., CANADA & SEATTLE, WA. FEB. 27-MARCH 6th. $1340. We had a full bus that arrived at Chicago Midway Airport to depart for Seattle, Wa. then a bus trip to Tantalus Lodge at Whistler, BC, Canada. All of our travel went smoothly. There was a variety of weather while we were there. Weather changed frequently from top to bottom. Sometimes rain at the bottom & snowing at the top. Along with new snow and a great ski day to follow. This mountain was challenging but the new Peak to Peak gondola was fabulous to experience. The entire village has grown so much that there was a lot to explore. Our lunch on the mountain, pizza party & fabulous farewell dinner Friday night was enjoyed by all. Closing the trip was a day in Seattle with our hotel close to the airport & the light train to downtown Seattle. Thanks to all who joined in the fun & thanks to our Trip Leader Sam Fontaine for a great trip. 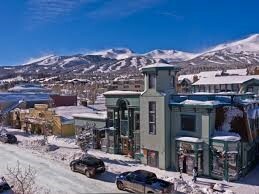 BRECKENRIDGE, COLORADO. Sat. APRIL 2 – Wed. APRIL 6. Full trip $950. 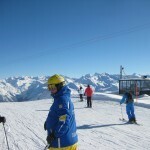 We experienced some of the best snow and great weather in a season. 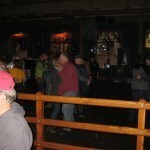 Motorcoach & Southwest Air Transportation, 3 day lift passes, and lodging. Everything went smoothly during our travels to Breckenridge. What a fabulous mountain and you couldn’t have asked for better snow or weather. 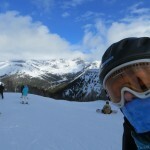 There certainly was a great deal to ski but some wandered to A-Basin or Keystone to spend a day at either place. 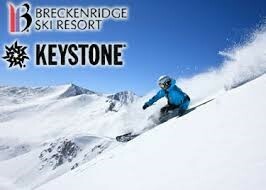 Everyone on the trip gave it a thumbs up for lodging, skiing and everything else that Breck had to offer. Thanks to our Trip Leader Sam, he was left behind to explore future spots for the 2017 season at the Mountain Travel Symposium. With his replacement, we arrived home on time. Stay tuned for what’s next! 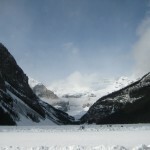 LAST TRIP OF THE SEASON TO BANFF, CANADA, March 19-23. It was a great way to finish the ski season with a trip to wonderful skiing, lodging and most of all friends, having fun! Friday, Feb. 13-15 was our Marquette Mountain Trip. Great food on the way up and fun at the Irish Bar ended our travels on Friday. Arriving at Marquette Mountain on Sat. we walked into a mound of racer bodies. Some lifts were closed due to high winds. 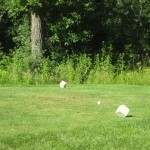 Some decided to take the day off & enjoy the entertainment. Sat. night we had fun in Marquette after a dip in the hot tub along with a wine & cheese party. Sunday we were back to normal with Nastar races & lunch on the hill. 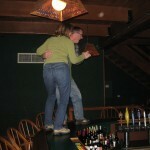 One last libation before leaving with shot ski, impressing college students at the mountain. Fun was had by all. REMARKABLE TRIP JAN. 24-FEB. 3 TO DAVOS, SWITZERLAND & VENICE, ITALY. Lead by our experience trip leader, Sam Fontaine we enjoyed beautiful vistas at the top of Davos along with the opening of “Carnavale” in Venice and much more. 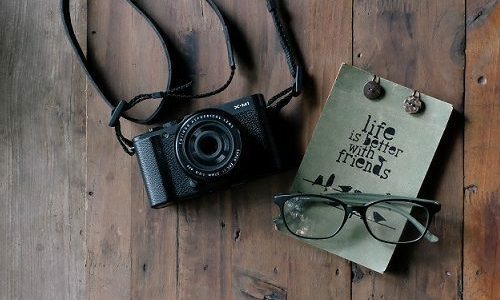 If you have never joined the Ski Club on their trips, you are missing an opportunity to experience great memories and new friends. A GREAT TIME & SKIING was had by all on BIG SNOW trip Jan. 9-11. The back of the full bus had a lively card game up to Bessmer. With sub sandwiches, beverages, chocochip cookies along with jello & pudding shots added to the fun. We continued the fun when arriving at Indianhead. 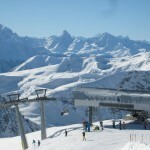 The ski conditions were great with plenty of corduroy and pleasant weather conditions at both mountains. Indianhead Lodge treated us to yummy breakfasts & dinner. 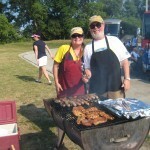 FUN AT THE TRATS TAILGATE, GAME & POSTGAME FIRE WORKS, JUNE 26TH. 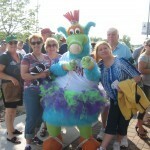 Wiffer, one of the TRats Mascots welcomed our group while enjoying some beverages prior to the game. It was great to see so many joining in the fun of the night. 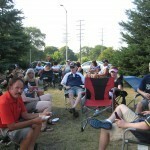 We had a great tailgate inside the Fox Cities Stadium at the 1st Base Pavilion with brats, burgers, all the fixins’ & of coarse some beverages. The finale of fireworks were spectacular but unfortunately the TRats didn’t come away with a win. Thanks to everyone who attended. SAT. 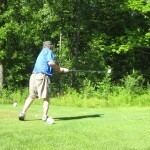 JULY 18, 2015 GOLF OUTING, organized by Sly Fox Club Member Brett Bergstrom. 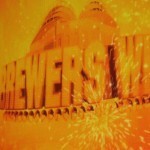 That’s the word for the BREWER BUS, TAILGATE, GAME & SPECTACULAR CONCERT BY THE GOO GOO DOLLS. 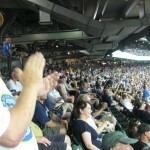 Even the Brewers came away with a win! We had a great group of Brewer fans that cheered them on. Of coarse that started on the bus ride down to Milwaukee. The “dark side” of the bus were taking selfies too. We had our grill master Sam flipping burgers, brats & marinated chicken breasts, cooking them to perfection. Thanks to all for the wonderful “dish to pass” which completed the feast. The concert was more than expected with a 20 min. 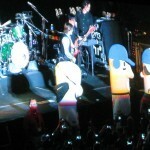 set up of a full stage, speakers & the entire Goo Goo Doll band playing their top of the charts hits, the racing sausages even got into the act. It truly was spectacular with everyone enjoying the night. A little quiet ride home arriving about 1am. The only thing we heard was that it was worth it. Thanks to all who helped set up, moved coolers & cleaned up. We really appreciate everyone pitching in. It wouldn’t be possible without all of you. 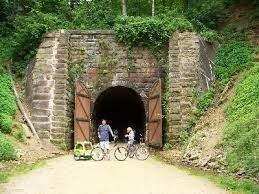 ELROY-SPARTA/400 TRAIL BIKING & CAMPING TRIP, AUG. 21-23. Enjoy a beautiful ride on the trail. Camping the weekend at Chapparel Campgrounds near Wonewoc, Wi. Breakfasts Sat. & Sun. with Dinner Sat. night included for $60. Will be a great time!